This week we’d like to showcase an impressive example of a fitness website running WordPress that optimized its load time from 12 seconds down to 6 seconds. That’s a 100% improvement! You can see their TTFB (time to first byte) didn’t change, which means this wasn’t a server-side upgrade or a host change. All of this improvement was done on the front-end. 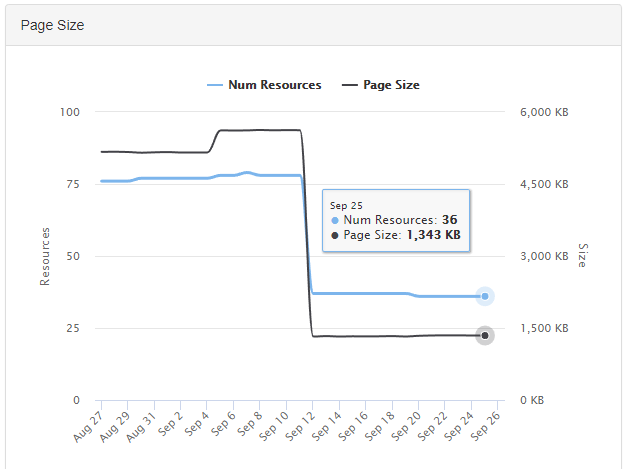 Started out at a 5 MB website, and trimmed it down to 1.3 MB – by way of also reducing the number of resources from 76 down to 36. 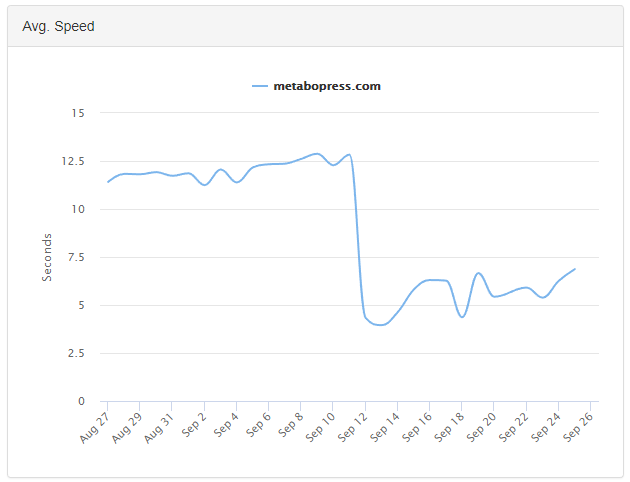 A quick look at their WebPageTest data before and after showed use of a wordpress optimization plugin, smaller image sizes, and combined CSS files. This is proof that the thinner your website is, the faster it will load – regardless of what hardware or server you’re running on. 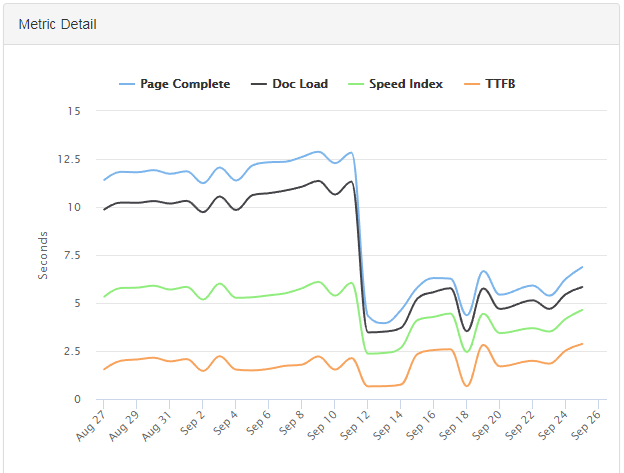 Even going from shared to dedicated hosting alone would not have had nearly the effect that optimizing the front-end (requests, CSS, JS, images) has done. Bravo! Now let’s see if we can get that 6 second load time down even more!